Finance the 2019 Nissan Sentra starting from 0% APR for 60 months on select models. Plus get $1,000 bonus cash on 2019 Sentra. Book your test drive now. Certain conditions apply. *Representative finance offer based on a new 2019 Sentra S MT . Selling price is $17,273 financed at 0% APR equals 60 monthly payments of $288 monthly for a 60 month term. $0 down payment required. Cost of borrowing is $0 for a total obligation of $17,273. 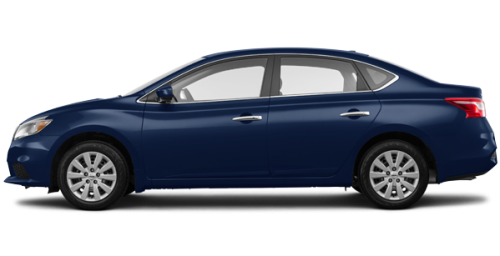 $0 Finance Cash included in advertised offers on 2019 SENTRA S MT. 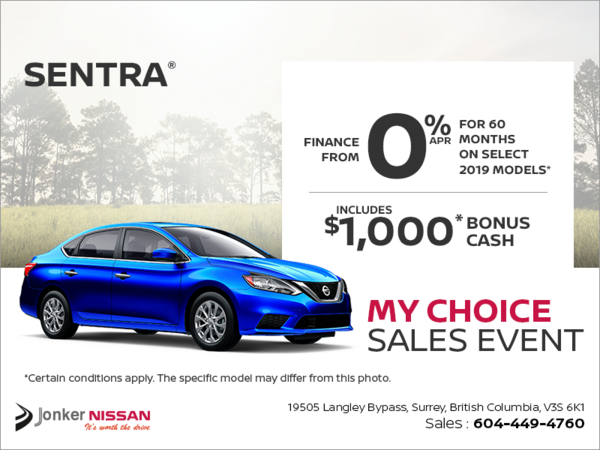 **Bonus cash of $1,000 will be deducted from the negotiated selling price before taxes and is applicable to customers who lease, finance or purchase any 2019 Sentra models from a Nissan dealer between April 2 -30, 2019.